Originally hailing from Chicago, Dr. Susan Kutis earned her doctoral degree at the University of Illinois at Chicago College of Dentistry before going on to complete her general practice residency at the University of Colorado. During her year-long residency, she focused on becoming skilled in advanced dental restoration, IV sedation, surgical care for treatments like tooth extractions, and complex dental and medical case management. With years of experience under her belt, Dr. Kutis enjoys sharing her knowledge and expertise with more junior colleagues. She has served as the director of the General Practice Program and an associate professor at the University of Colorado and also travels twice a year to provide instruction on porcelain veneers placement and complex, full-mouth reconstruction at the Pacific Aesthetic Continuum. Additionally, Dr. Kutis believes that education is a continuous process and that learning should never stop. For this reason, she completed the core curriculum of the prestigious Dawson Academy, where she was named a Dawson Academy Scholar. Dr. Kutis is also a member of the Spear Study Club, which recently named her a member of their Faculty Club, an honor reserved for only 1000 dentists nationwide. What is a Pierre Fauchard Fellow? The Pierre Fauchard Academy is an international honorary dental organization that seeks to elevate integrity and ethics within the dentistry profession and recognize those outstanding dental professionals and role models for their contribution to the field. Founded in 1936, the academy is named after Pierre Fauchard of France, widely recognized as the “father of modern dentistry”. To be selected as a Pierre Fauchard Fellow is considered a high honor, as the distinguished award is only given to a select few dental professionals who have been nominated each year. Fellows are selected by their peers within the academy based on their excellent service to the profession of dentistry, their positive impact on the general community and their contributions to dental literature. 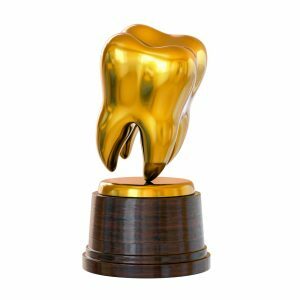 Awarded “Top Dentist” recognition in Chicago in 2015 and 2016. The repeated recognition Dr. Kutis’ receives is a reflection of her dedication to excellence in patient-centered care. Her philosophy of treating every patient with compassion and never ceasing to learn ensures she always provides patients with the highest quality dental care using the latest in dental knowledge and technology. To learn more about award-winning Dr. Susan Kutis, a top cosmetic and emergency dentist in Ken Caryl, or the comprehensive dentistry services offered at Blue Safe Dental, visit our website or call the office today at 303-973-1112.